"We continue to see good organic growth in our bus and rail services in the UK and North America. This has been supported by our successful mix of innovation, value-for-money travel, continued investment in our services, and strong operational delivery. "Our UK regional bus operations are delivering good returns with different management approaches applied to respond to the different conditions in each of the markets in which we operate. In London, our turnaround plan is progressing well and we have won new contracts on more acceptable profit margins. "We are excited about the next phase of our growth plan for our budget coach brand, megabus.com. As well as testing the market in Europe, we are expanding to new locations in North America where the response to the product from consumers has been particularly strong. "The planned acquisitions from Coach America will enable us to expand our US business at a reasonable price while further underpinning the development of megabus.com in targeted regions. "In UK Rail, we are pleased that East Midlands Trains has returned to profit and South West Trains continues to perform well. We are involved in shortlisted bids for a number of new franchises. At South West Trains, we are moving forward with our alliance with Network Rail to deliver a more efficient railway and a better service for passengers. We believe this approach can be a model for future franchises and our pioneering work can give the Group first mover advantage. 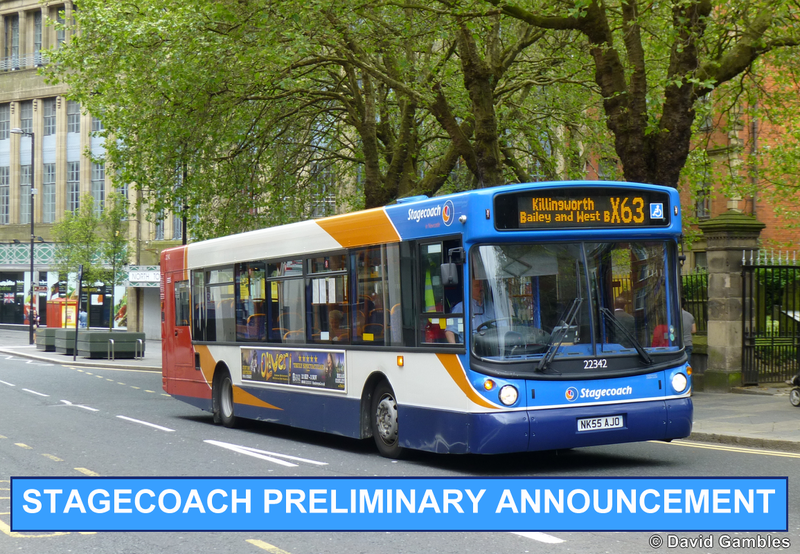 "Across our business, our new ideas and partnerships are helping shape the future of public transport and the Stagecoach difference is delivering strong returns to our shareholders. We believe the outlook for our bus and rail services is positive and we look forward with confidence to the year ahead."